This topic contains 0 replies, has 1 voice, and was last updated by Soloman Tump 10 months, 2 weeks ago. 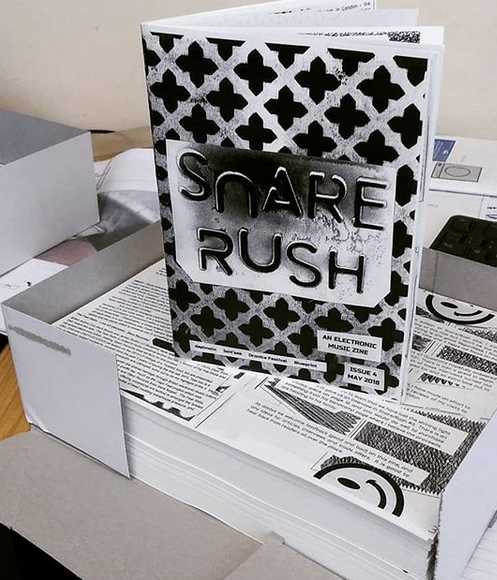 Issue#4 of Snare/Rush zine is available now! Had some good feedback so far, and thank you to everyone who has ordered a copy. Presented as 28 black & white pages in A5 format, heavy duty cover surround and stapled. Art, photographs, music playlist, other things too! This topic was modified 10 months, 2 weeks ago by Soloman Tump.